Astonishing diamond vaddanam embossed with Goddess Lakshmi at the center with elephants and peacock design on either side studded with diamonds, emeralds and rubies. An elegant and classy diamond necklace set studded with square and oval shaped diamonds and a stylish diamond pendant studded with ruby at the center, complemented by matching diamond earrings. Actress Sreedevi in a dazzling necklace studded with kundans and diamonds with beautiful pendant studded with kundans and central emerald, paired up with matching earrings by Gehna jewellers. 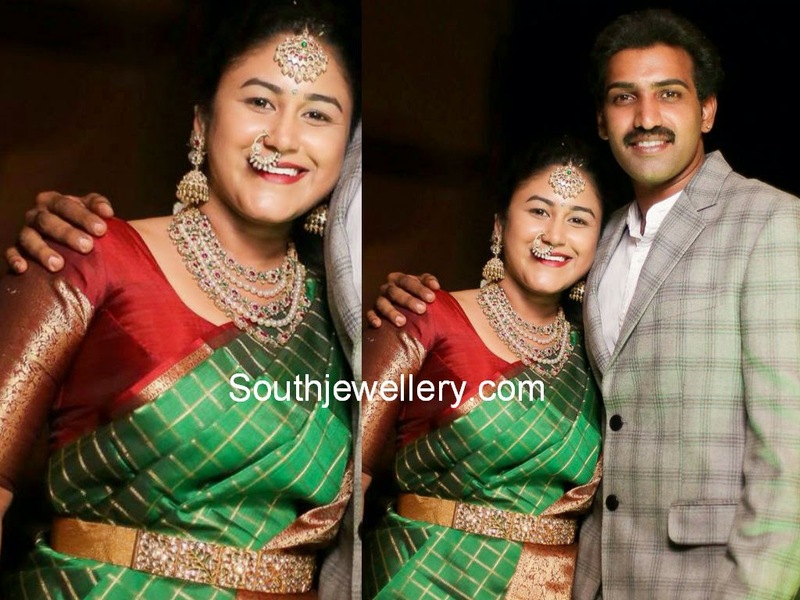 Shreedevi Chowdary in beautiful pair of diamond earrings studded with emeralds. 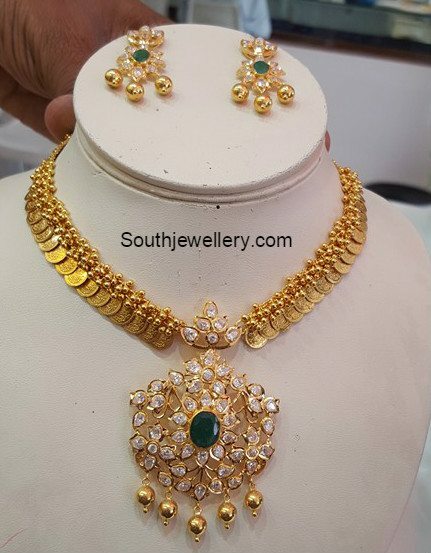 Lakshmi Kasulaperu in latest design studded with diamonds. 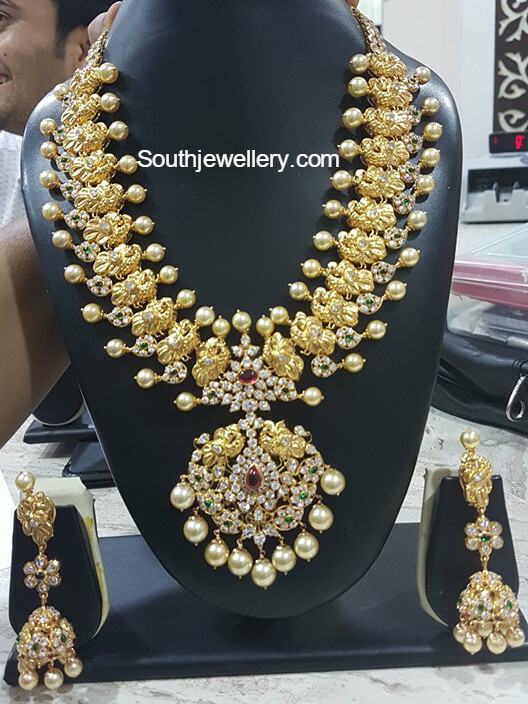 Designed by Aabharanam Jewellers, Hyderabad. Shruti Hassan in in malabar gold jewellers diamond necklace and matching earrings.